Welcome to ''The Good Life''! 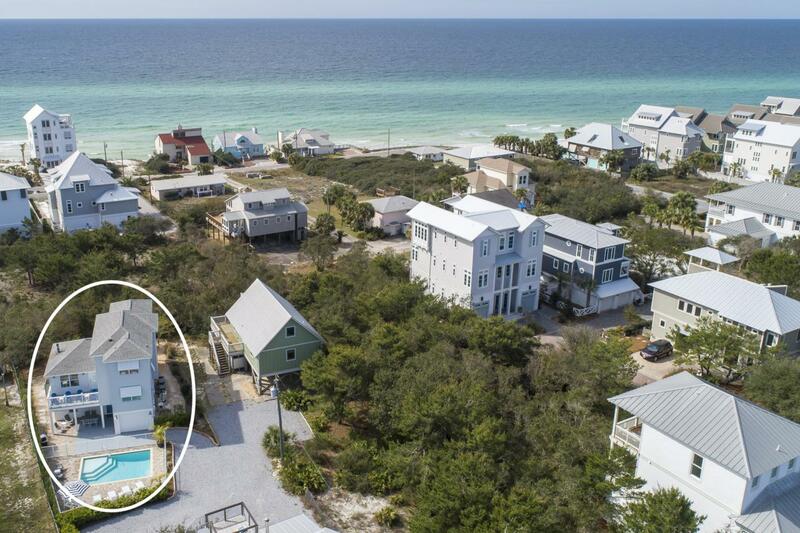 This 3 story beach home offers plenty of sunshine throughout along with ''6'' patios/balconies to relax and soak up some beach air while sun bathing around the private pool. Public beach access is right down the road! 1st floor entrance boasts a huge 4 bed Bunk room with 1/2 bath. 1 Queen bedroom and 1 King bedroom with shared full bath, perfect for multiple families. 2nd floor says welcome to this bright and sunny living room! Lots of windows on every floor. 2nd floor / Main floor offers up a large open kitchen and dining area that looks onto a cozy screen enclosed balcony ...nothing like coffee in the morning or beverages at night! Main floor features another King bedroom, full bathroom and laundry center with stacked front load washer & dryer andan apt sized frig for all your overflow refreshments / foods. Granite counters with stainless appliances all are either new or newer. One more floor to go will be your massive sized Master bedroom, Master bathroom with shower and double sink cabinet, over sized walk in closets, 2 bunk bedroom closet and VIEWS OF THE GULF WATERS especially while lounging around in the master suite sitting area! "The Good Life" has much more to offer but seeing is believing! Exterior of Home is currently being painted. Pics will be updated. Confirmation of all measurements and information contained herein shall be the responsibility of the Buyer.